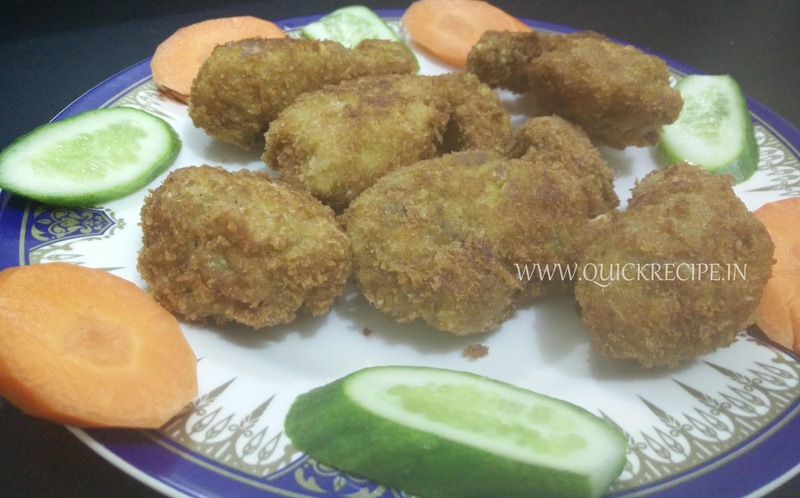 Spicy Chicken Shintsel is a simple, easy and delicious chicken fry recipe that resembles broasted chicken. Its spice mix provides a mouth-watering pleasant odor to our chicken recipe. It can be prepared with few ingredients within few minutes except a marination period of half an hour. Clean, wash and drain chicken pieces. Mix well fennel seeds, cumin seeds, turmeric powder, pepper powder and vinegar by grinding it all together. Marinate the chicken pieces with this paste and required salt, keep aside for half an hour. After marination period, roll the chicken pieces first in all purpose flour, then dip in beaten egg and atlast in bread crumbs. Now deep fry these chicken pieces in boiling oil in low flame. Note:Fry it in low flame otherwise innerpart will not cook well while outer part darkens quickly. 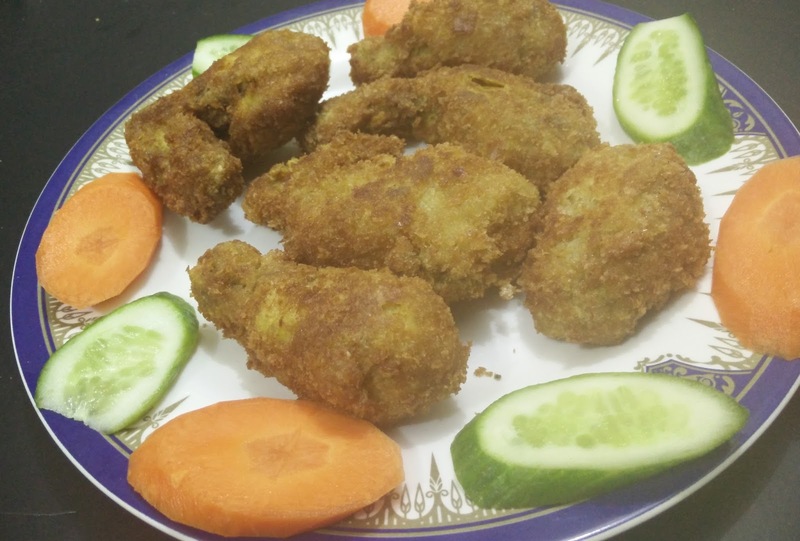 Delicious crispy and spicy Chicken Shintsel is ready. Serve hot by garnishing with cucumber, carrot, lemon or coriander leaves.